Is your next escape right in your own backyard? It’s certainly a possibility if you create a backyard oasis. Imagine a relaxing spot where you can get away, set all worries aside, sip a piña colada and connect with nature. 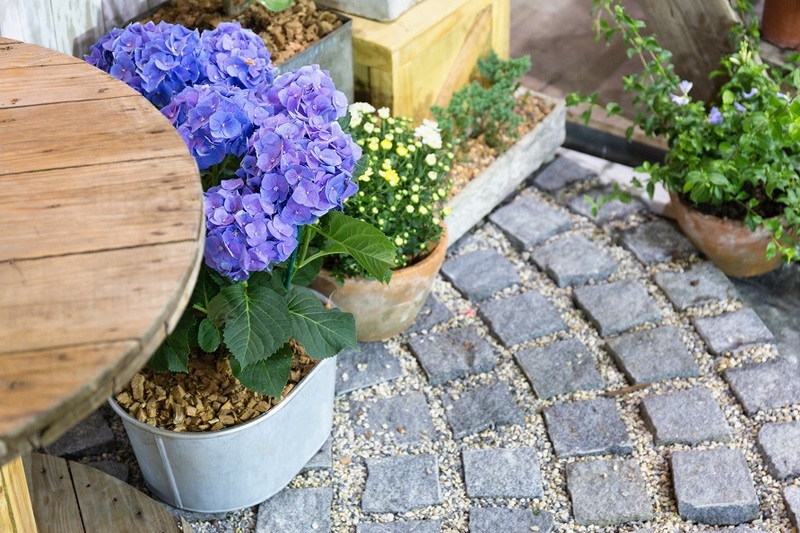 Whether you have a small deck or a large tract of land, keep reading to find out how to create an oasis right in your own backyard. 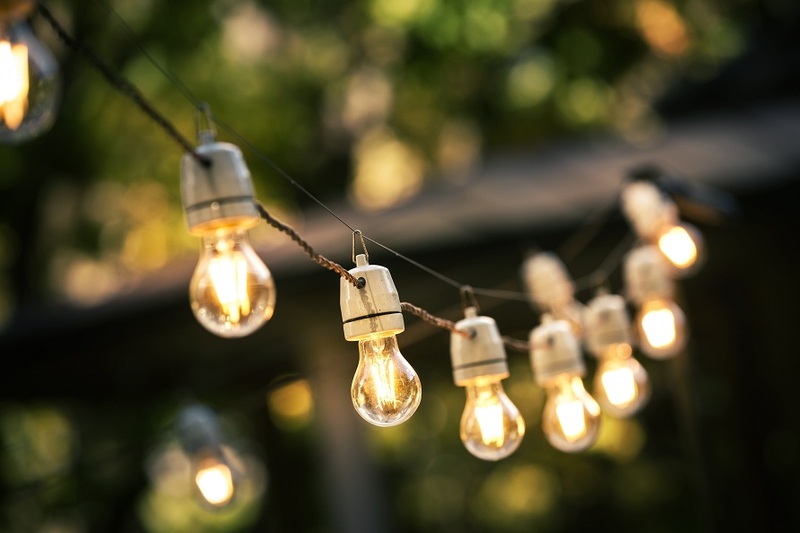 Creating a backyard retreat, even if you’re on a budget, really isn’t that difficult, especially if you have a wide open space. With options that include fire pits, patio furniture, lighting and greenery, coming up with awesome backyard ideas will be a piece of cake. Some of the best backyard designs include fire pits. 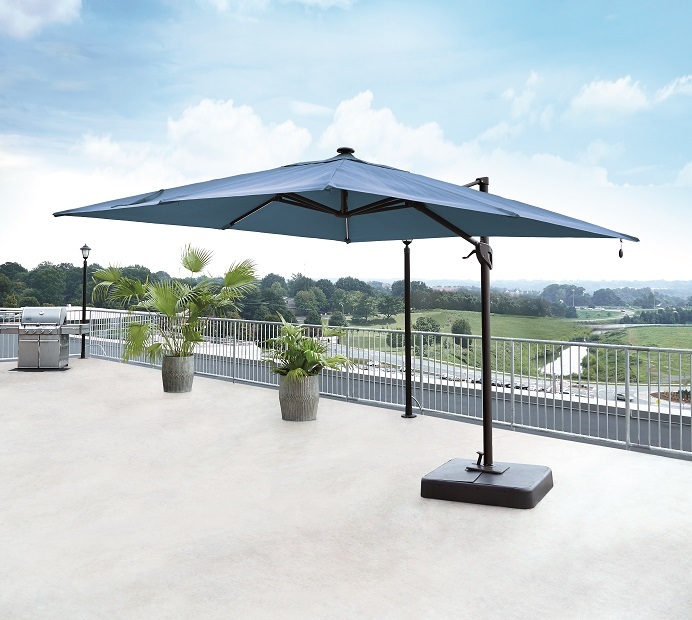 A favorite with everyone, they are easy to operate, and some offer roomy tabletops for setting down drinks and snacks. 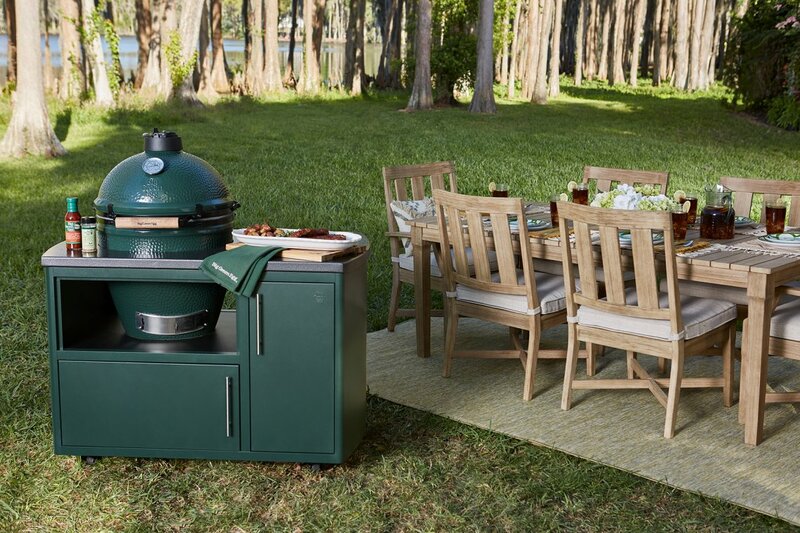 Many fire pits are propane gas equipped and come as sets with chairs―perfect for gathering around a warm fire and telling ghost stories. Marshmallows anyone? 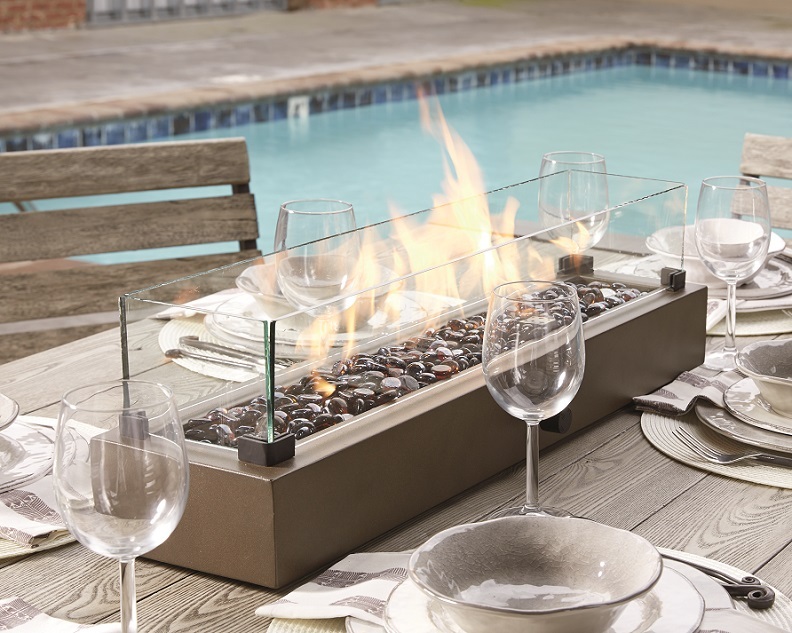 Add ambiance and warmth with a table top fire bowl. You’ll find that they usually come with attractive lava rocks or glass beads, and run on propane gas. Nothing can compare to nighttime dining and conversations, fireside. 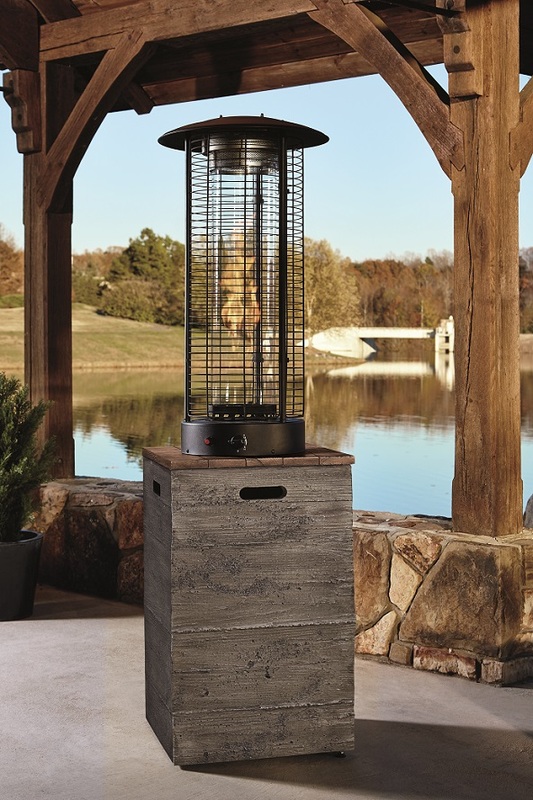 In areas where guests congregate, outdoor heaters add warmth and make the area more inviting. The dancing flames usually run on hidden propane tanks and will warm up cool nights. Look for heaters with cool-touch powder coated steel grids for added safety. 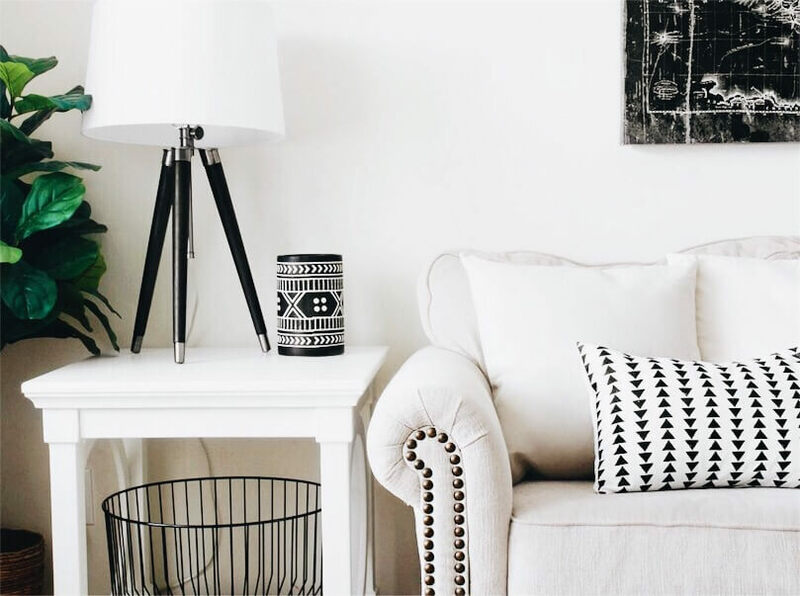 The best hosts know that having room for all their guests to sit is essential. 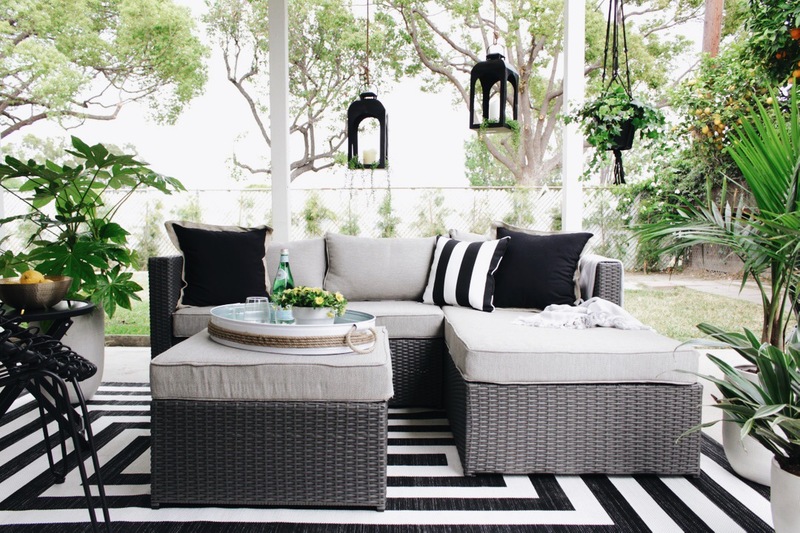 Design your backyard with lots of cozy seating so you’ll feel confident knowing there’s plenty of room for everyone. 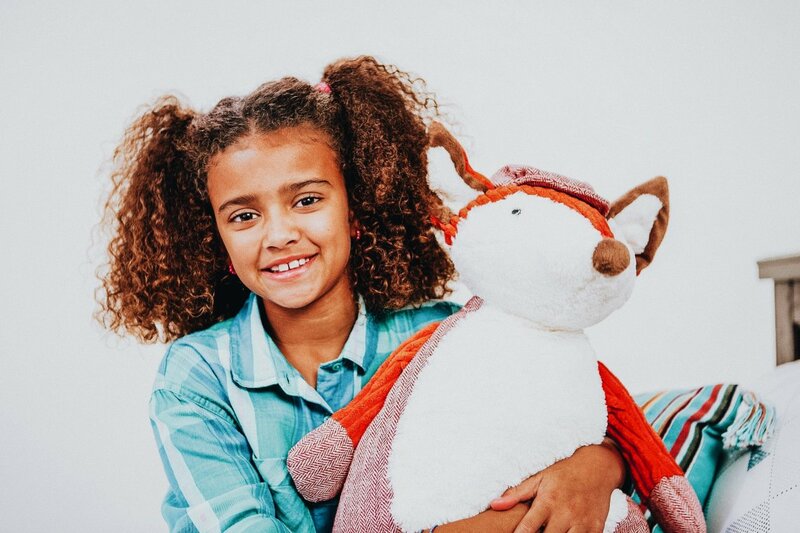 From lounge chairs and swings to gliders and sectionals, you have numerous options. The best backyard oasis designs feature sitting areas scattered throughout the backyard. 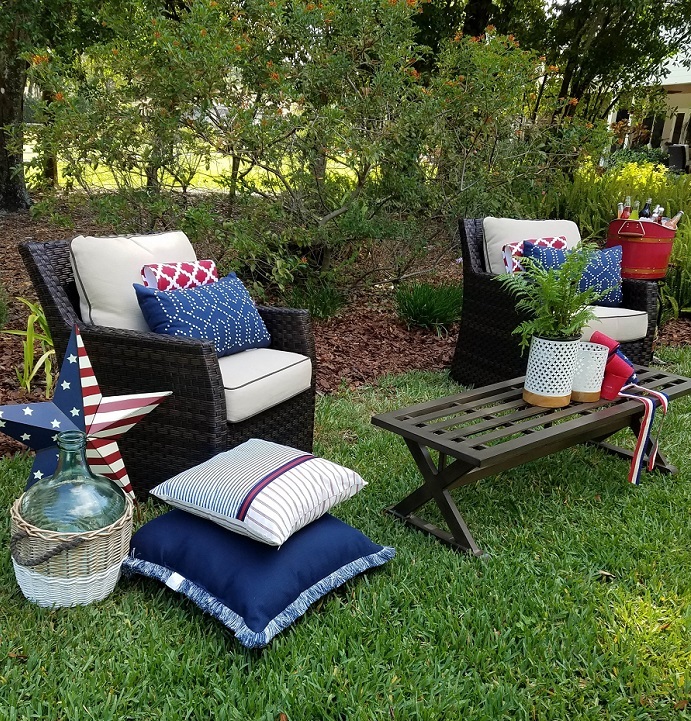 Make your oasis inviting by placing a pair of lounge chairs on the corner portion of a deck or perhaps under a favorite tree. 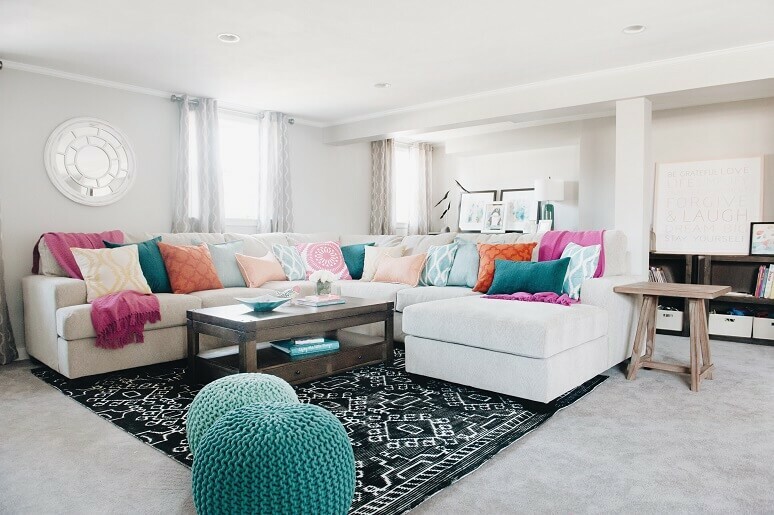 Accent with throw pillows to make guests feel welcome and comfy. 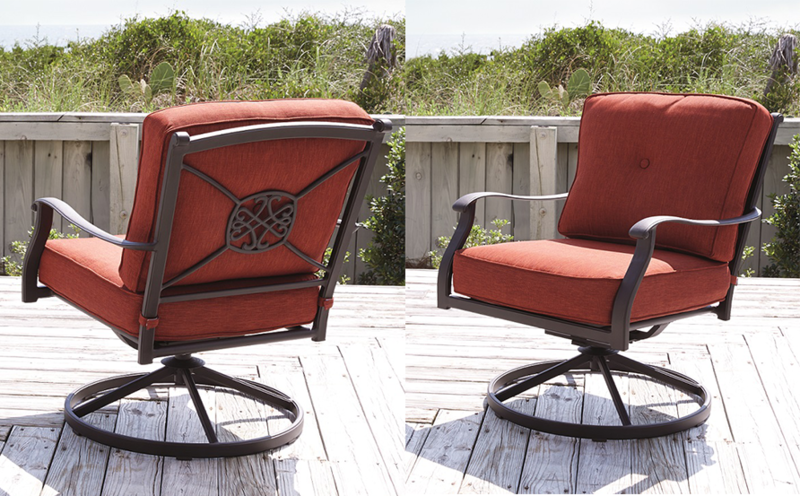 Spin in and out of the conversation from the comfort of a swivel lounge chair. 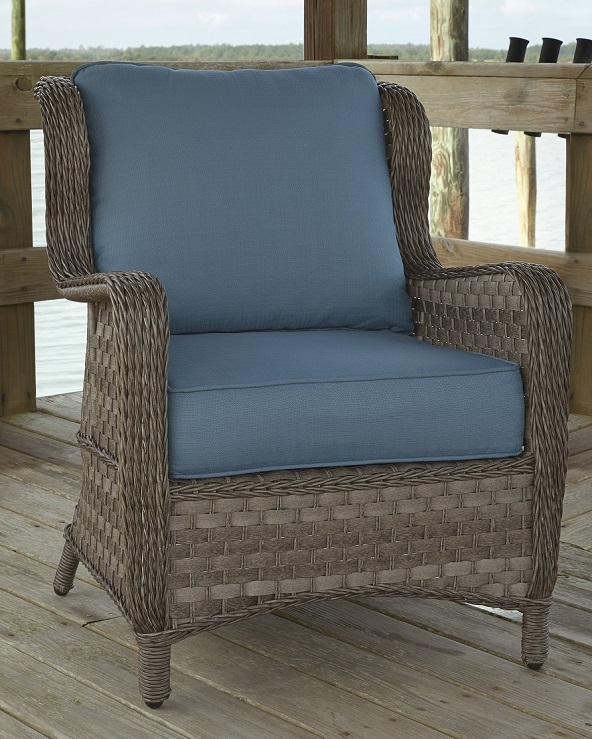 Guests love the ability to turn without having to reposition the whole chair―great for patios or decks. Expecting a large crowd? An outdoor sectional with a coffee/dining table will accommodate everyone. 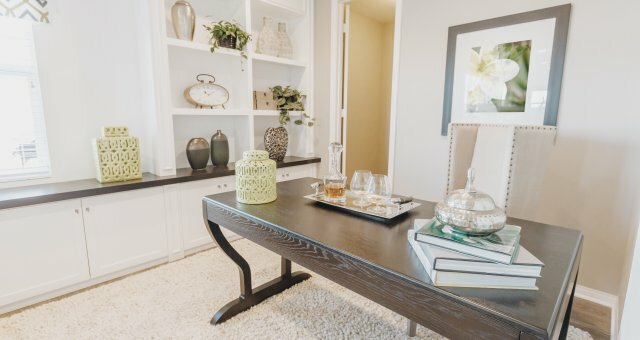 Now you’ll have the perfect spot for playing games and snacking. The best thing about sectionals is that they give you lots of room for entertaining or for taking a nap when the party’s over. If you are limited on space, work within the small area you have. 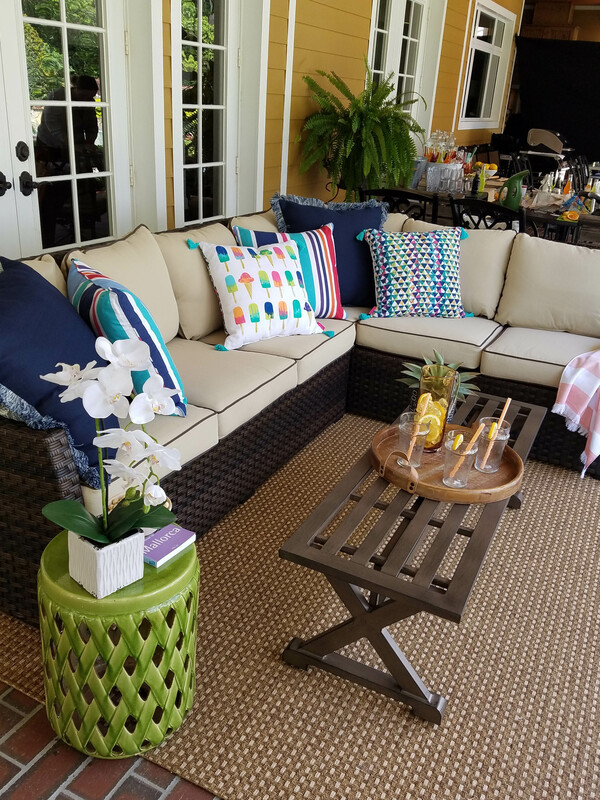 For example, if you have a small deck or patio, use smaller seating like a motion loveseat or a loveseat glider in lieu of large chaises or sectionals. 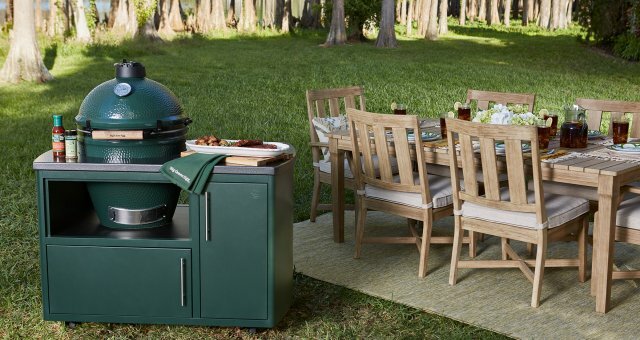 This gives you a spot to unwind outside or sit while barbecuing. 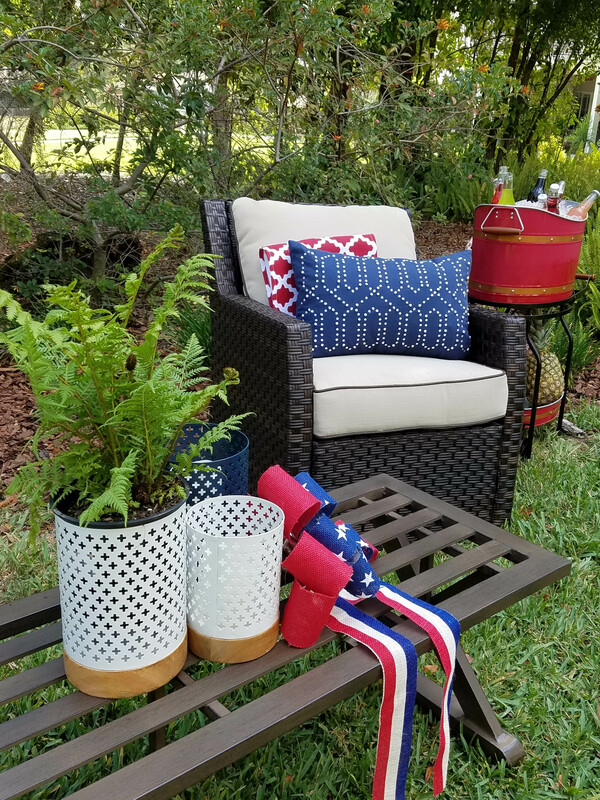 People tend to gather around tables, so an outdoor dining set with cushioned chairs, benches and a shady umbrella is perfect for backyard entertaining. 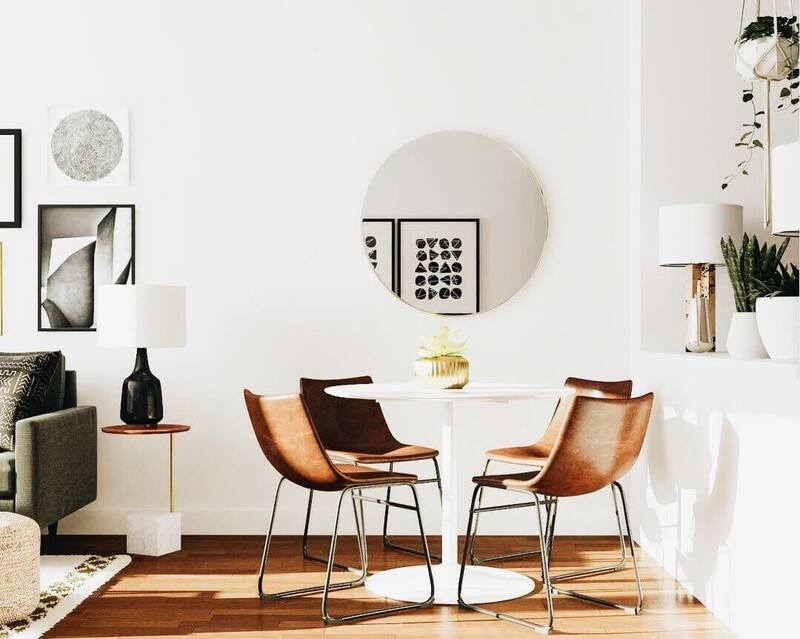 You’ll love the flexibility a dining table provides. The wide open surface offers the space to set up games or lay out a large spread. When not entertaining, why not set up an outdoor workstation and work from home? 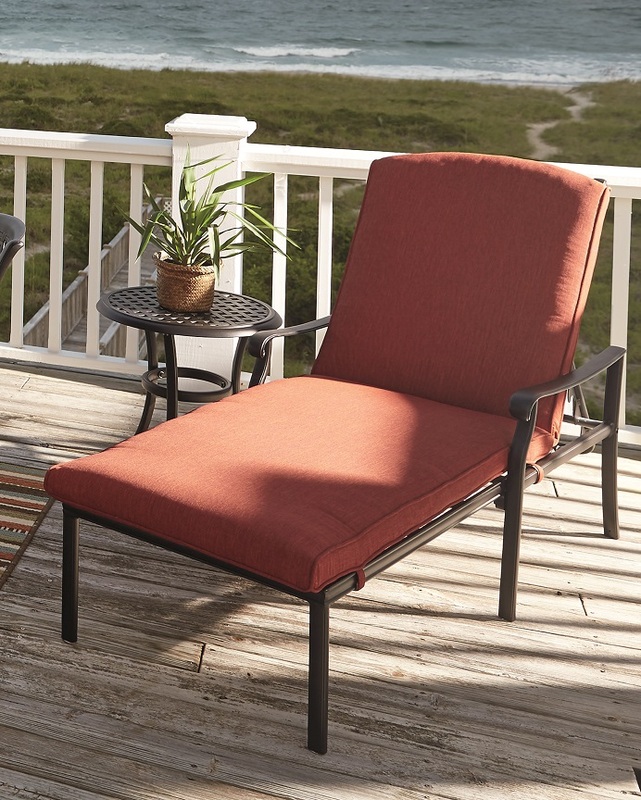 If you’re always looking for ideas to bring the beach to your backyard, consider a cozy chaise lounge. 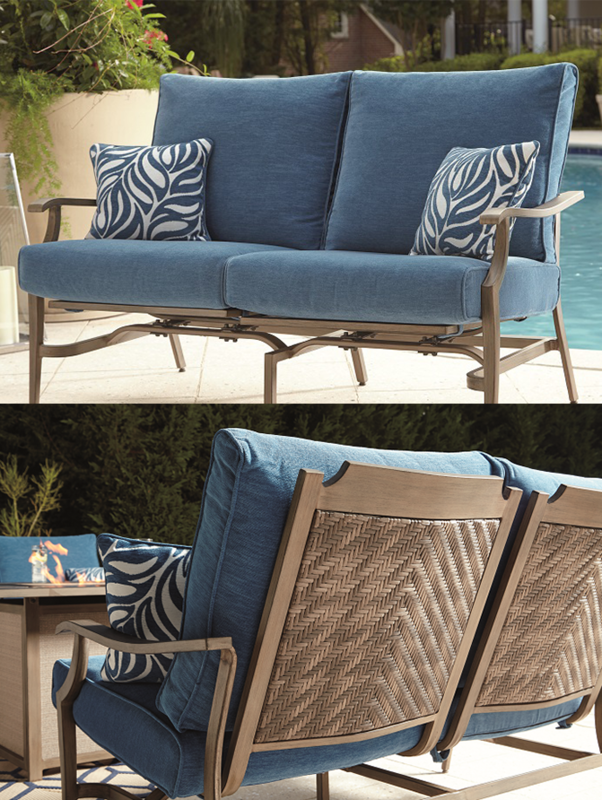 Whether you place it poolside or on a deck, you can recline and let your imagination carry you away to the beach. 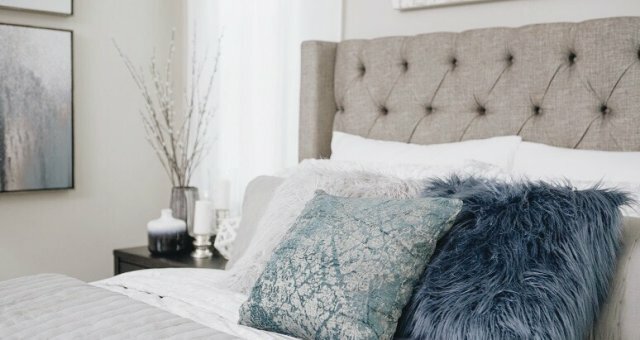 Once you have the furniture in place, be sure to illuminate. Consider the countless ways of lighting up the night. Looking for a soft glow from above? Umbrellas with LED lights provide light that’s not overpowering and create a relaxed atmosphere. Let the night festivities begin. 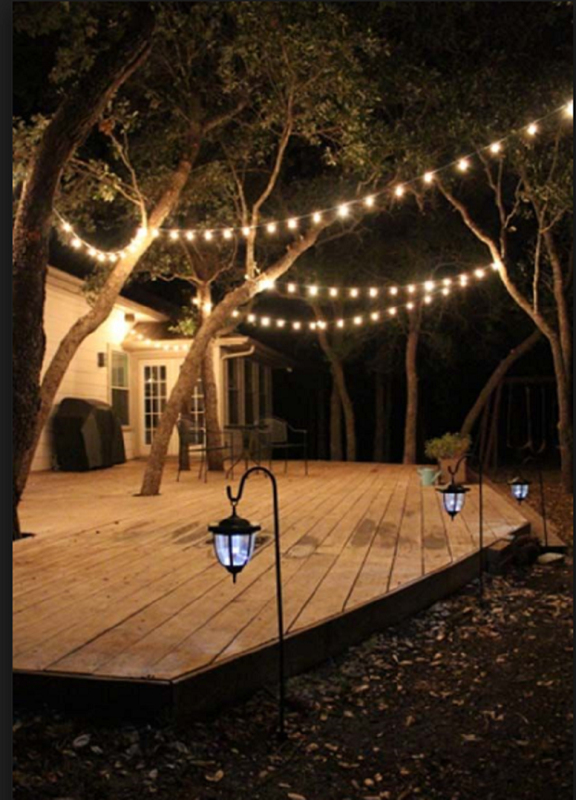 String overhead patio lights or wrap light strings around rails or tree trunks. They’re decorative and will brighten the area with a warm glow. 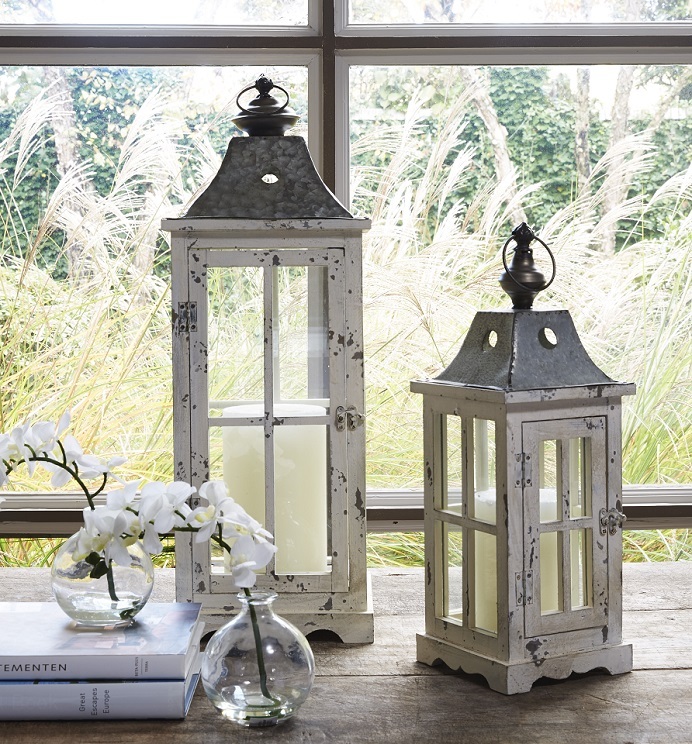 Bring out the candle lanterns and set them on tabletops, along pathways or poolside. They’re ideal because the candles are enclosed and you don’t have to worry about the wind blowing them out. 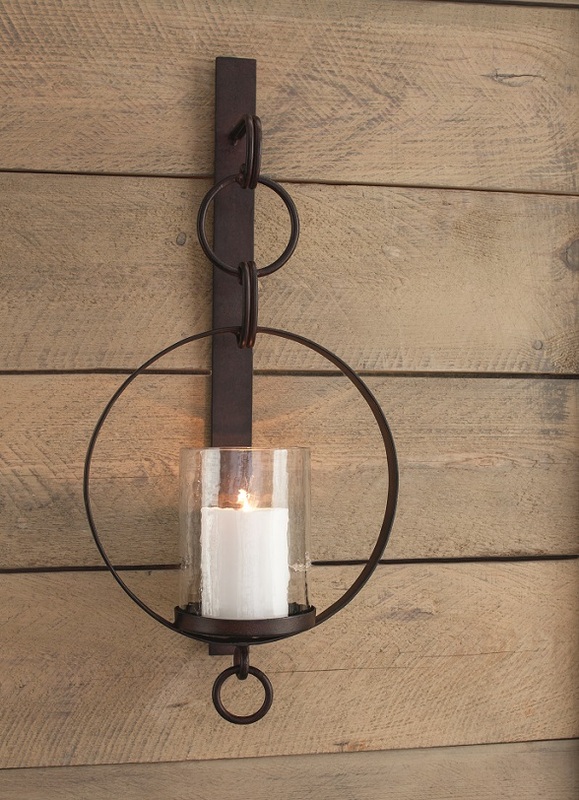 Hang sconces along the walls of an enclosed porch to help brighten the area. No oasis is complete without beautiful greenery and natural surroundings. 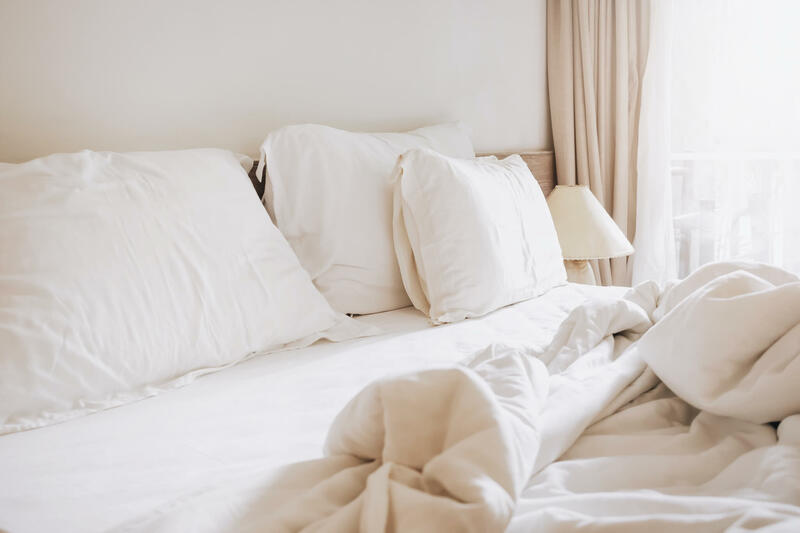 There are numerous options to create a restorative retreat. 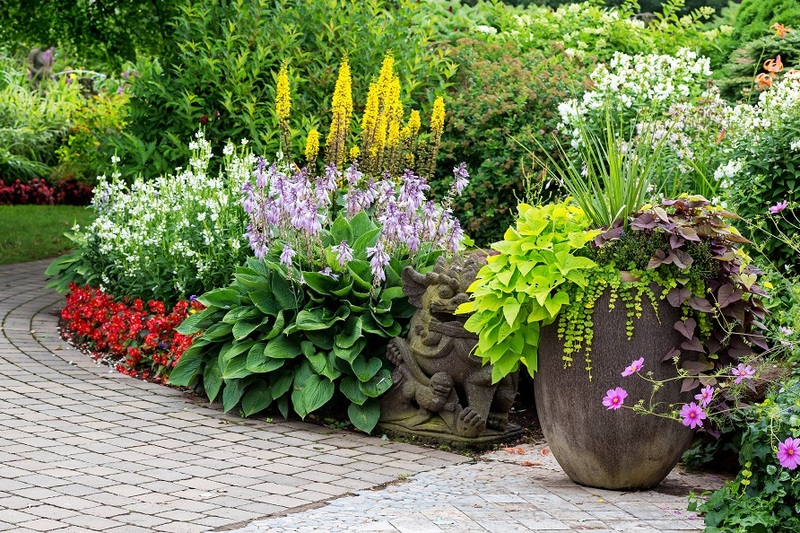 Ferns, ivies, begonias, impatiens and fuchsias make great centerpieces or can be placed in areas throughout your oasis. Plant them in designer containers for a pretty look that you can bring indoors. The fragrance and beauty of roses or other blooms is a must. Plant a rose garden full of your favorite colors and incorporate trees, native plants and wildflowers. Use stones and rocks to hold soil in place for flower beds and edging. 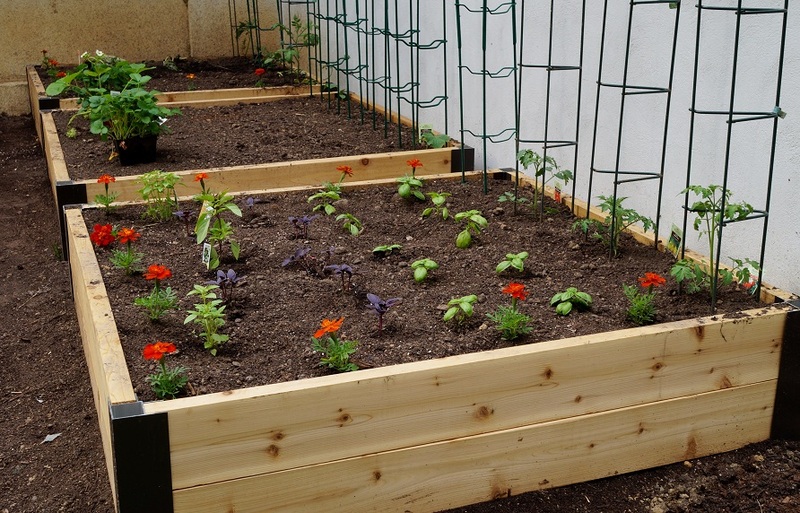 Plant your favorite leafy veggies incorporating flowers. The mix will look amazing, plus you’ll enjoy the fall harvest. 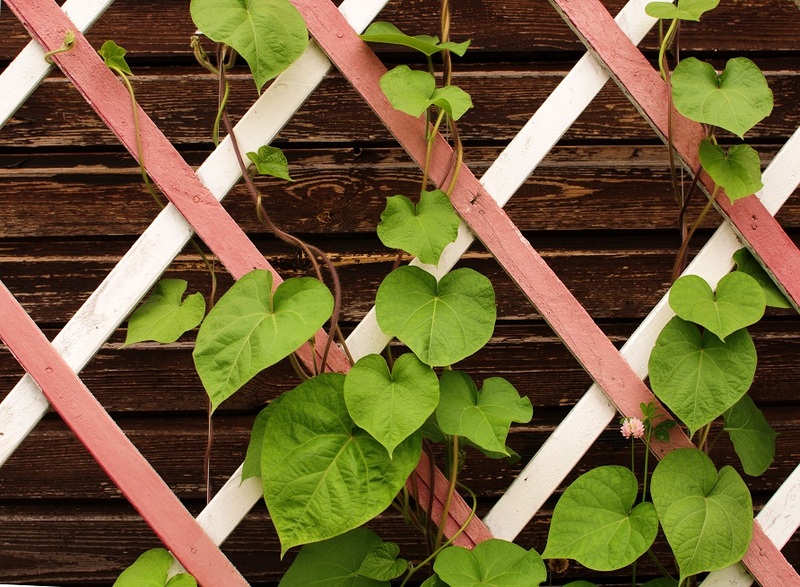 Build a curved arbor or trellis and let vines fill it in for privacy. Plant ivy or clematis if you are in a cool climate. 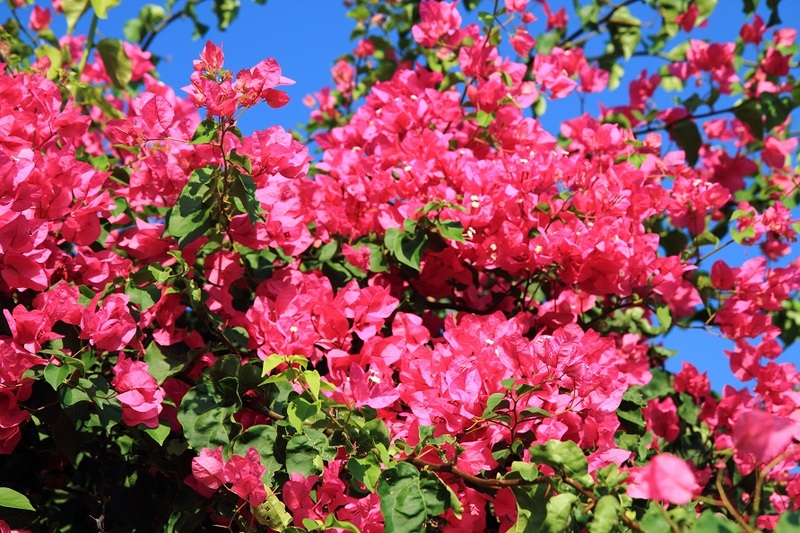 For tropical backyard designs, incorporate bougainvillea vine, passionflower or golden trumpet, which thrive in warm climates. To close off large expanses in the yard, plant hedges of evergreens or shrubs. 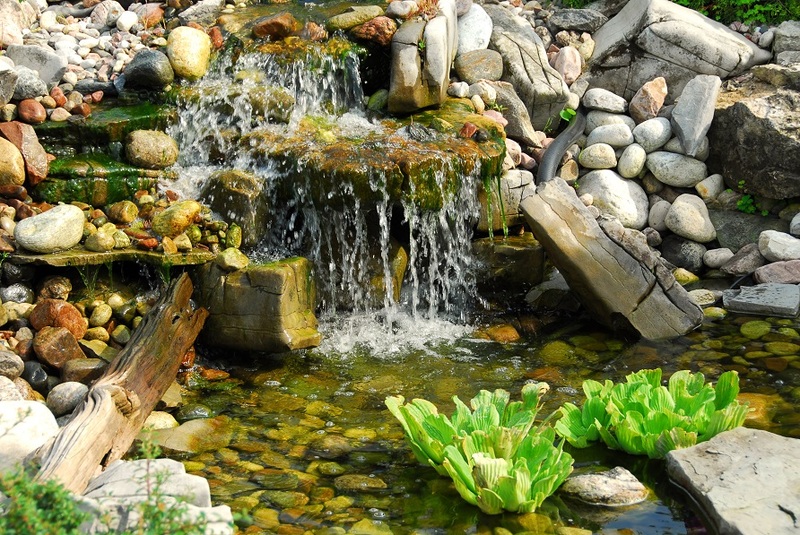 Install waterfalls or less expensive self-contained fountains for a dramatic touch. Let the sound of running water drown out city noise and carry you away to a calmer state of mind. 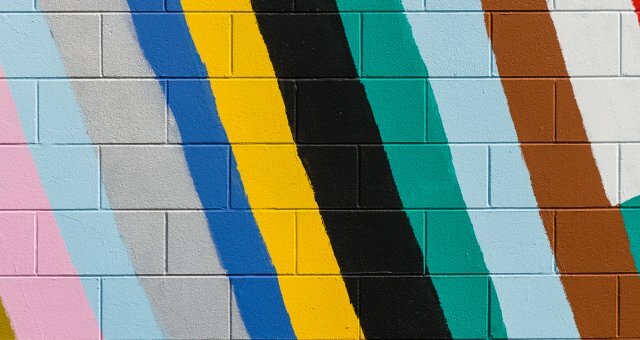 With all this inspiration, there’s no need to make travel plans. Your yard has the potential to become your refuge, an escape full of beauty and wonder. If you have created your own dream backyard oasis, we’d love to see it! Share your experience below.